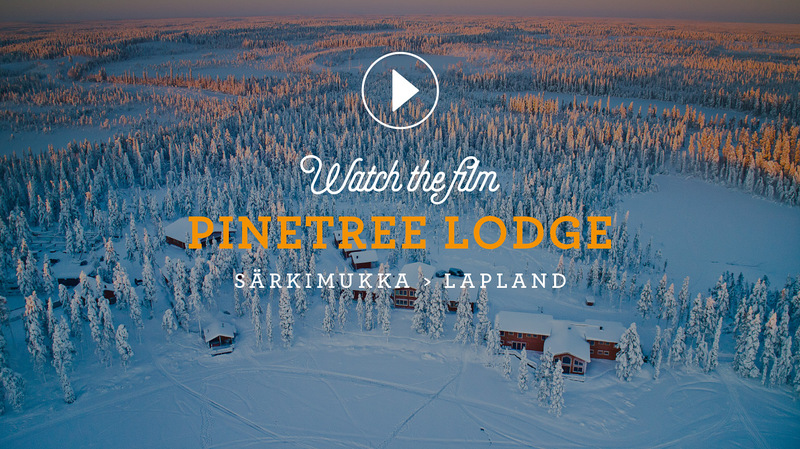 Pinetreee Lodge is situated beside a beautiful lake, Saarijarvi, in the middle of a rich forest. It has a reception desk, dining room, bar and sauna. Every afternoon we heat up the sauna. After activities you can relax, warm up, and enjoy the beautiful view. 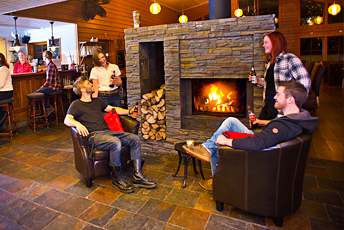 Before or after dinner, join us in the Brown Bear Bar for a locally brewed beer or a cloudberry sour. 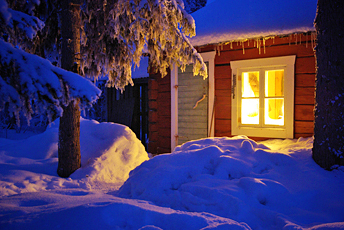 In our restaurant, join us for a delicious meal made from locally sourced food from Lapland. We offer the amenities of a large hotel with the cozy feeling of staying with a friend. We have 17 double rooms with en suite facilities. They are spacious and perfect for resting after a wonderful day outside. Enjoy the simple, comfortable Nordic design. Our Northern Light Apartment is perfect for groups of 4-6. Features two double bedrooms with large windows facing the North, perfect for catching a glimpse of the North Lights from bed. The apartment also has a living room with a fold out bed and a spacious bathroom. We have three cabins that comfortably home 2-4 people. There is one private bedroom with double bed and a fold out bed in the living area. With private bathroom and open fireplace, it is the perfect hideaway for couples after a day of adventure. 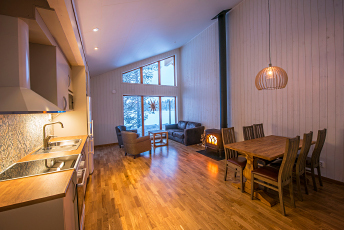 Our six Arctic Living Apartments offer accommodation for up to six people. These beautiful apartments offer stunning views of nature and offer an open kitchen/living areas. Each unit has a private bathroom and sauna. There are two private bedrooms with double beds and a pull out bed in the living area. Escape every day life completely in our traditional fishing and hunting cabin. While very cozy, it does not have electricity or running water. The cabin is heated by a fireplace and has an outdoor toilet. It even has a traditional wood-burning sauna for relaxing after a day on the trail. 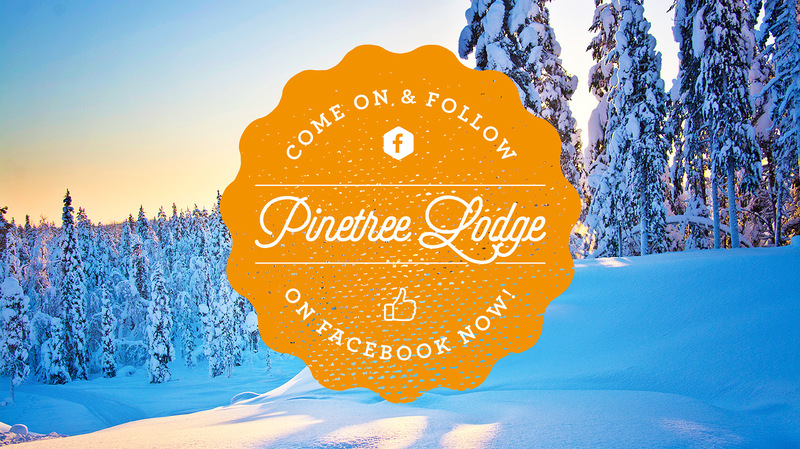 Enjoy the complete silence at this getaway from the modern world. In the main building, the restaurant is where you can find breakfast, lunch and dinner. 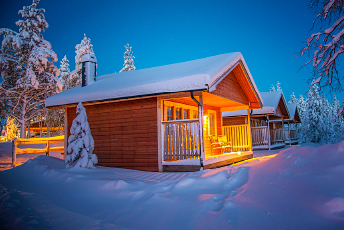 We always use delicious locally sourced food to give you a taste of all Lapland has to offer. Try reindeer or moose with our modern takes on traditional Swedish food. 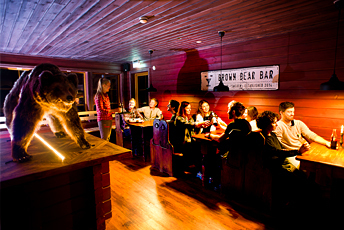 Join us in the cozy Brown Bear Bar for a Lapland brewed beer or a cloudberry cocktail. 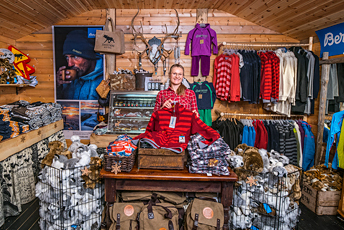 We bring the flavors of Lapland to you! And if you are feeling brave, grab the microphone for a few songs on karaoke night! 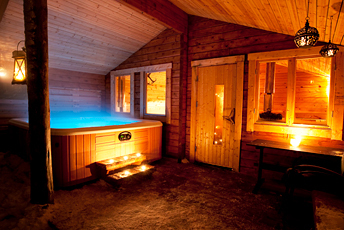 Melt away your everyday stress in our electric sauna in our main lodge. Or treat yourself to our traditional wood heated sauna by the lake for total relaxation. 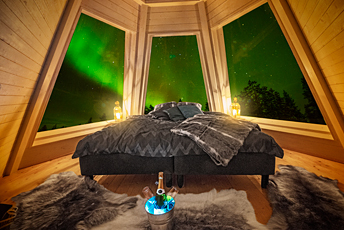 There is even a Jacuzzi you can spot northern lights from if you are lucky! Spend the night in our Aurora Hideaways tucked into a clearing just a 10 minute walk from the lodge. 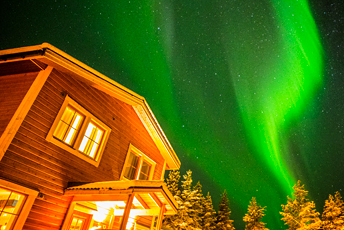 While they are simple, it is the perfect spot to cozy up with someone special and watch the Northern Lights. Whether you forgot something at home or you want something to remember this vacation forever, we have you covered. From things you didn’t know you should have brought to something nice for your friends back home, we have a large selection of items to choose from. 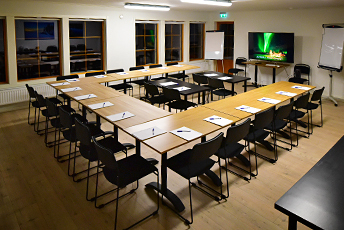 We have a spacious conference room in the building next to the main lodge. With room for up to 40 people, you can hold meetings or events in this space. It is also equipped with a projector, large white board and Wi-Fi! 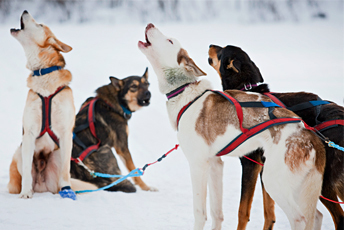 With over 150 dogs, the husky camp is impressive to see. Meet your team before your tour or stop by just to say hello. Once you meet our dogs, it will be hard to stay away. Give them a cuddle and enjoy their playful personalities!